Co-workers remember financial aid counselor April Jace, who died Monday night after an altercation in her Los Angeles home. Silence filled Calvary Chapel as students and faculty gathered to honor the memory of April Jace, a counselor in the Biola financial aid office, in a May 20 prayer service. University administration received word early Tuesday morning that April died Monday evening, May 19, during what the Los Angeles Police Department believes to be a domestic dispute involving her husband Michael Jace, 51-year-old actor on the FX show “The Shield." April, who had just turned 40, was full of life, loved the Lord and even brought some of her family members to Christ, said Geoff Marsh, senior director of financial aid. In her work at Biola, April advocated for student needs and developed relationships that extended beyond the professional level, Marsh said. “She loved working with students, had a real heart for students. Her co-workers loved working with her, always had a smile, lots of fun and brought lots of good energy into the office,” Marsh said. Greg Vaughan, vice president for enrollment management, said he expects students to come into the financial aid office specifically looking for April. “There are a number of students that really appreciated her, and will probably, in the days ahead, come looking for her assistance, they know her by name, they’ve benefited from her care for them, and that’s going to be hard,” Vaughan said. 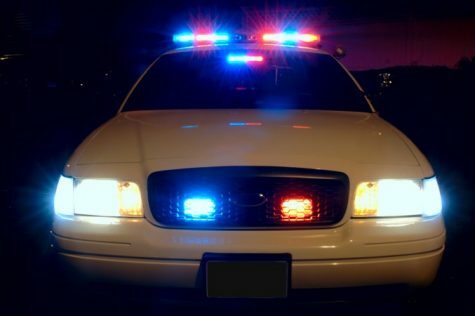 Los Angeles Police Department officers responded to a call saying shots were fired at the Jace home around 8:30 p.m., according to a press release by the Los Angeles Police Department. April was pronounced dead on scene when Los Angeles Fire Department personnel arrived. “We are obviously shocked and saddened by this terrible news, to lose a wonderful colleague, mother and friend. 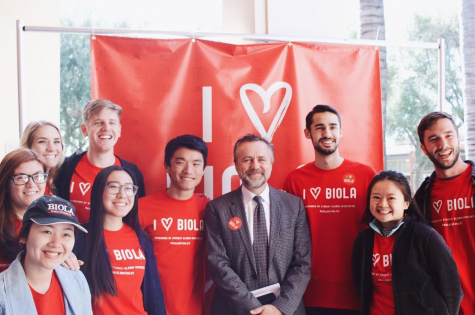 The Biola family will stand with this precious family and the employees who are grieving today, and my prayer is that the God of all comfort will be our refuge and peace,” said president Barry Corey, in a May 20 press release from the university. Michael was taken into custody on May 19 and eventually booked into jail on a murder charge. His bail is set at $1 million. In addition to his role on “The Shield,” Michael has appeared in various films, including “State of Play” and “Forrest Gump.” Michael and April had been married for almost eleven years. On Tuesday morning the financial aid department came together for a time of prayer and reflection as faculty members were informed of April’s passing, Vaughan said. The office was closed for the remainder of the day for the staff to process April’s death. Grief counselors from the Biola Counseling Center were made available to assist the staff in coping with the news. “The absence of her joyful spirit, and just her presence at the office, that’s going to be a big impact. She was an encourager to other staff members,” Marsh said. In response to the loss, faculty members have turned to comforting each other and finding solace in God, Vaughan said. 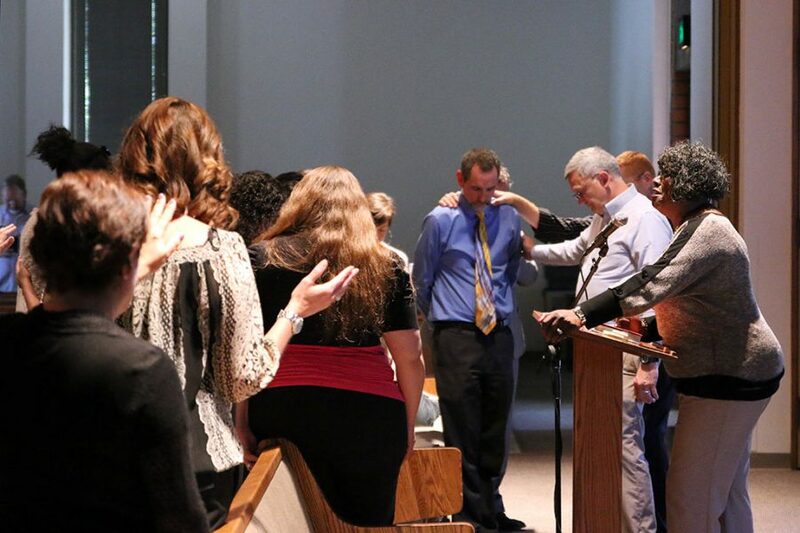 “Seeing the staff pull together and support one another and sensing even in difficult time, that God is sovereign, and trusting in God’s care for us and joining together as brothers and sisters. It’s been a very meaningful, although very sad, day,” Vaughan said. People do not always consider how the co-workers are affected by the loss of someone, and it will take time for the staff to work through that, Marsh said. “It’s just so obvious how much she was loved by the staff, I just can’t reiterate that enough. So appreciated her fun loving spirit … she was such a hard worker,” Marsh said. April’s responsibilities as a counselor included assisting students and families through the financial aid process, compiling individual aid packages and overseeing the veteran benefits program. With April’s absence and another counselor preparing for paternity leave, the department will adjust to ensure that student needs are met, Marsh said.